First Bonefish for 14 Year Old Daniel! Mid Fall Fishing Hot with Mild Weather! Winter Tarpon Fever in February! Matt Reno would not be denied! Tucker Team Swims With Tarpon and Stays Alive! Giant Tarpon Invade Key West! Winter Fishing in Key West! Happy Holidays from KEY WEST FLY FISHING! 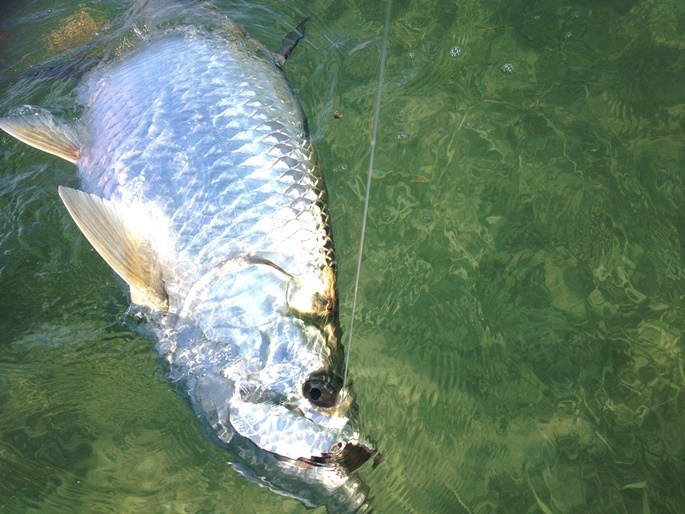 Tarpon are schooling on the Basin Flats and Permit are Marching on everywhere! The east winds are prevailing and the water temps have increased to the high 70’s. Tarpon have migrated into the basin flats and we are having our way with some of them daily. There are some very big Tarpon being fought and caught. Here is one..
are excellent months to fish for Tarpon on the backcountry basin flats! Call Capt. Dexter Simmons at 305-304-5880 for available dates!